Over 29 million Americans, nearly 1 in 10, suffer from diabetes and as many as 25.9% of adults age 65 and over have the disease. Currently, diabetes is the 7th leading cause of death in this country, and it’s estimated that the disease costs $245 billion annually. For seniors, diabetes is a serious concern and particularly for those with other chronic conditions. Here is some more information about diabetes in older adults and how Chronic Care Management services can help with this patient group. Type 2 diabetes constitutes up to 95 percent of all diagnosed cases of diabetes. Approximately 40 percent of these patients require insulin injections, and there are many ways that diabetes can adversely affect health and daily functioning. Patients can more easily get certain types of skin infections such as styes, boils, and Candida albicans. Eye complications are also a concern as diabetes can lead to cataracts, retinopathy, glaucoma, and blindness. Nerve damage, called diabetic neuropathy, can occur which will affect the feet and hands. Gastroparesis is another complication in which the muscles of the stomach and intestines no longer function properly. It’s been found that patients who have diabetes are at high risk for other chronic diseases, including chronic kidney disease, hypertension, stroke, coronary heart disease, and others. Chronic kidney disease (CKD) is found in up to 23% of patients with diabetes, and cardiovascular disease is common in patients that have both diabetes and CKD. Hyperosmolar Hyperglycemic Nonketotic Syndrome (HHNS) is a condition that is most commonly found in older adults. HHNS results mainly from Type 2 diabetes not being properly controlled, but the condition itself is usually brought on by another illness or infection. If HHNS continues, the results can lead to seizures, coma, and death. 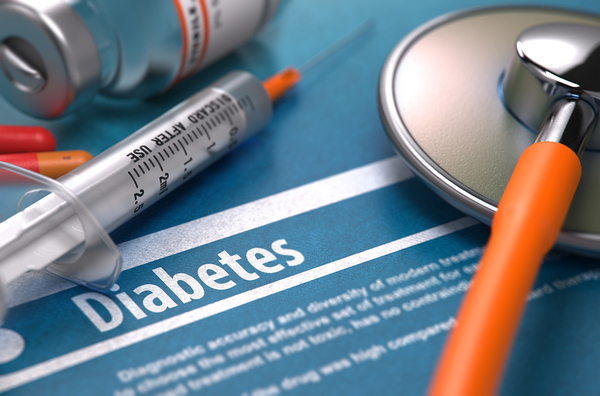 Chronic Care Management services can help manage diabetes in eligible patients. The management programs that are patient-focused as opposed to diseased-focused have the best opportunities to address all of a patient’s issues, including the additional risk factors linked to diabetes in older adults. One study showed that patient education wasn’t enough. Even though patients were well-informed about chronic disease management, changes made didn’t “stick” in about 40 percent of cases. A more personal ongoing touch was needed. This is the benefit of Chronic Care Management (CCM) services that are designed to address the issues of patients who are suffering from more than one chronic disease. These 20-minute one-on-one visits with the patient provide the care coordinator with an opportunity to give these high-risk patients the care and attention that they require. CCM patients have their particular needs addressed, including any issues with diabetes management, as the care coordinator follows the physician’s personalized care plan. Medical reconciliations are also completed to ensure that the patient is medication-compliant, and results are conveyed through the online care management portal. Diabetes is a serious condition that impacts a host of other chronic diseases. Chronic Care Management services can help physicians ensure the best outcomes for each patient. Contact us with any questions or to request a free consultation.